On a Monday morning, I resort back to a grizzly bear trying to pull themselves from the depths of hibernation. It’s not really a successful process, resulting in a lot of grunting and mumbling but no raw salmon eating although… On these mornings when it’a struggle I remember how to put on shoes, reminiscing of warm holidays helps to get me out of my bear pit to make me go to work to pay for these bone warming breaks. I’m what you would call a ‘Flying South for Winter’ type. 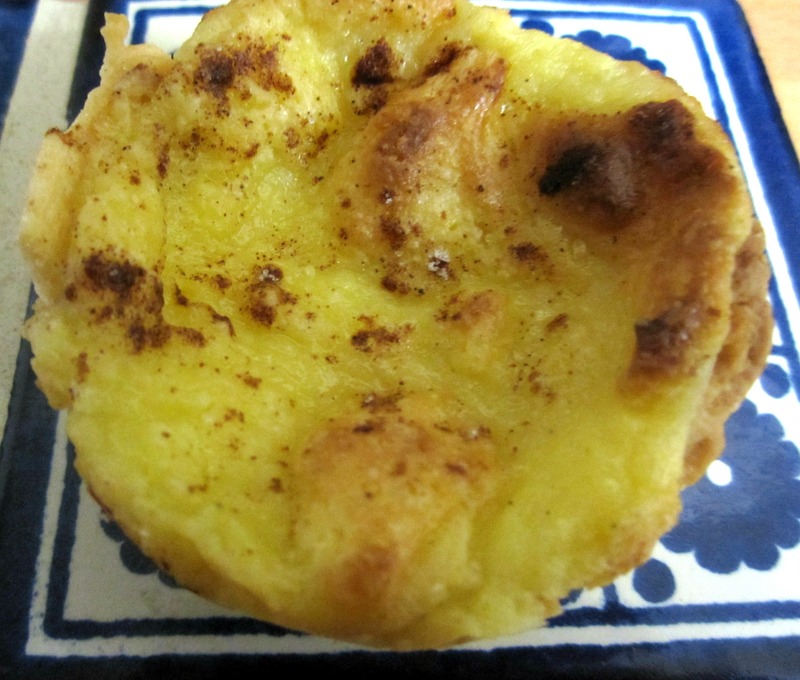 I had these delicious Portuguese custard tarts or pastel de nata on my most recent trip to Lisbon and they just sing of sunshine and comfort needed in the depth of Autumn in the UK. I like them just warm from the oven rather than hot and with a liberal dusting of cinnamon on top to bring another level of warming. Not be afraid of the custard making a part, embrace it. Once you made it once you’ll wonder why you were so terrified of it in the first place! You can make your own puff pastry, but life is a little too short. Oven to 180C.. Grease the wells of a 12-hole muffin tray with butter. This will help to crispen the pastry. In a pan, heat the egg yolks, sugar and cornflour over a low to medium heat, whisking continuously until thickened and well combined. 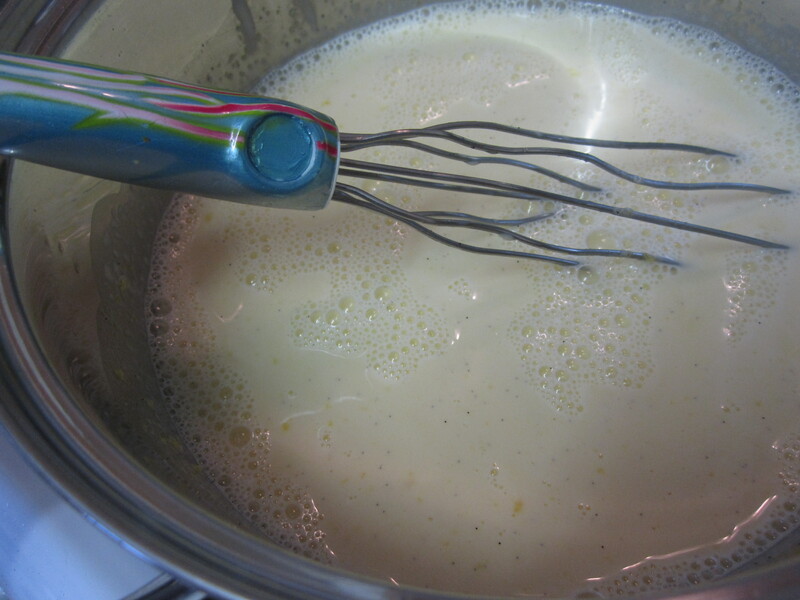 Add the vanilla extract, then add the milk and cream in a thin stream, whisking continuously, until the mixture is thick, smooth and well combined. 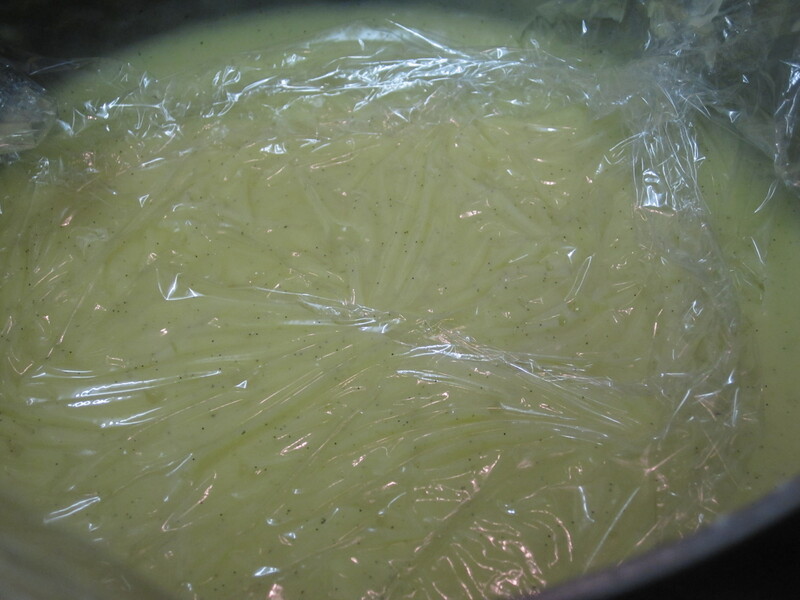 Continue to stir the custard mixture until it comes to the boil, then remove from the heat and cover the surface with cling film. Allow cooling completely. Roll out the puff pastry onto a clean work surface lightly dusted with icing sugar. Cut the pastry in half and place one sheet on top of the other. 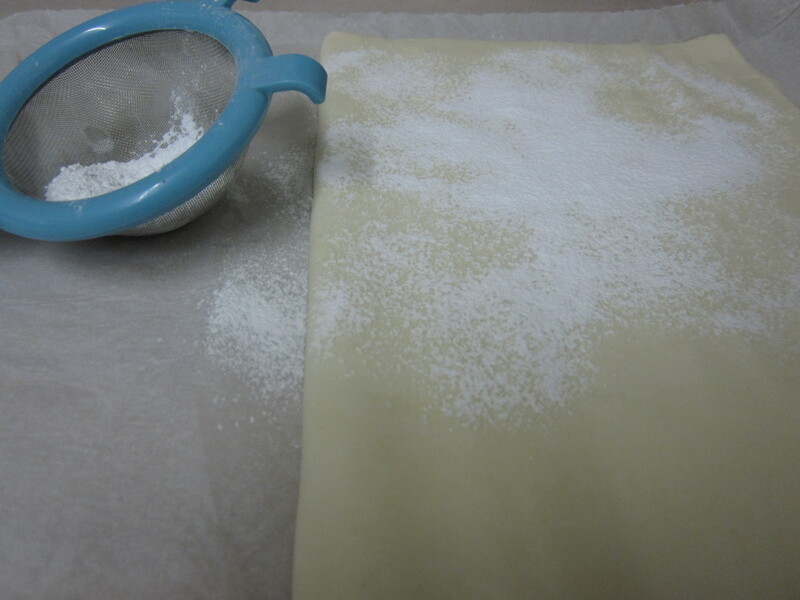 Roll the pastry sheets up like a Swiss roll and cut the roll into twelve slices. Lay each of the rolled pastry slices flat onto the work surface and roll out into 10cm discs using a rolling pin. 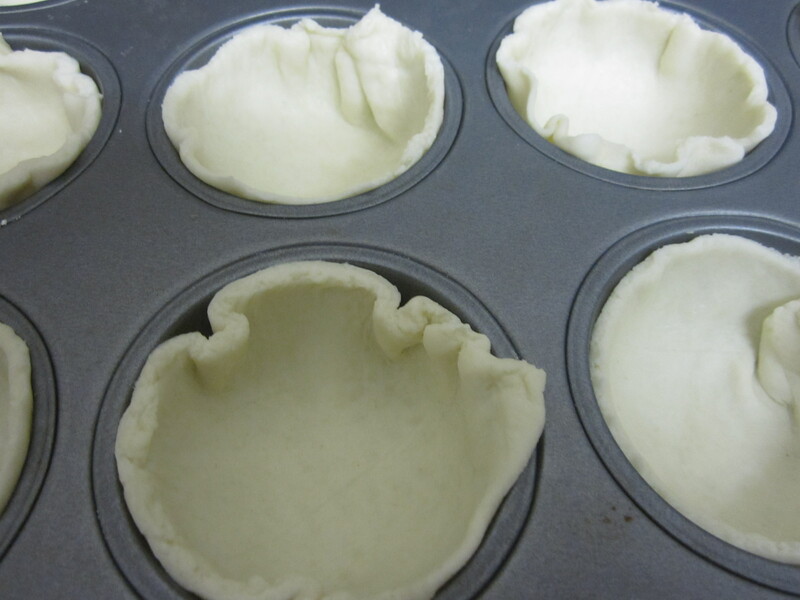 Press a pastry disc into each of the wells of the prepared muffin tray. 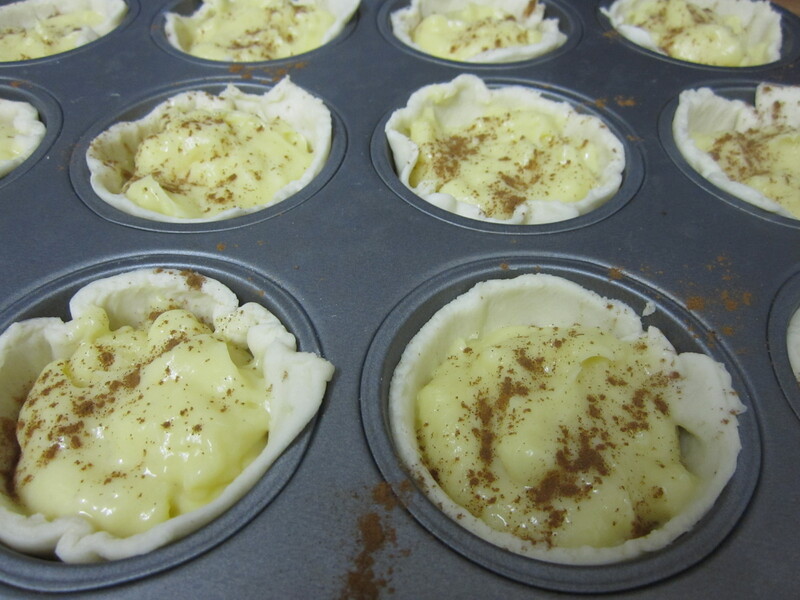 Divide the cooled custard equally among the pastry cases. Sprinkle with cinnamon and caster sugar. 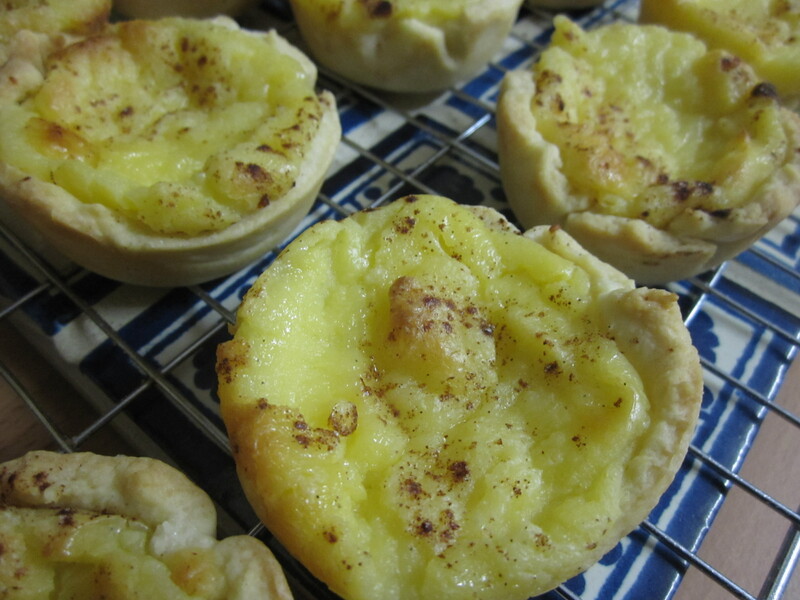 Bake the tarts for 18-20 minutes, or until the custard has set and is pale golden-brown and the pastry is crisp and golden-brown. Allow to cool in the tin until just warm and enjoy with a strong coffee.